A practical career orientation guide prepared by the Schulich Finance Alumni Association. It contains invaluable information with respect to what kinds of careers are available in finance along with tips for success. 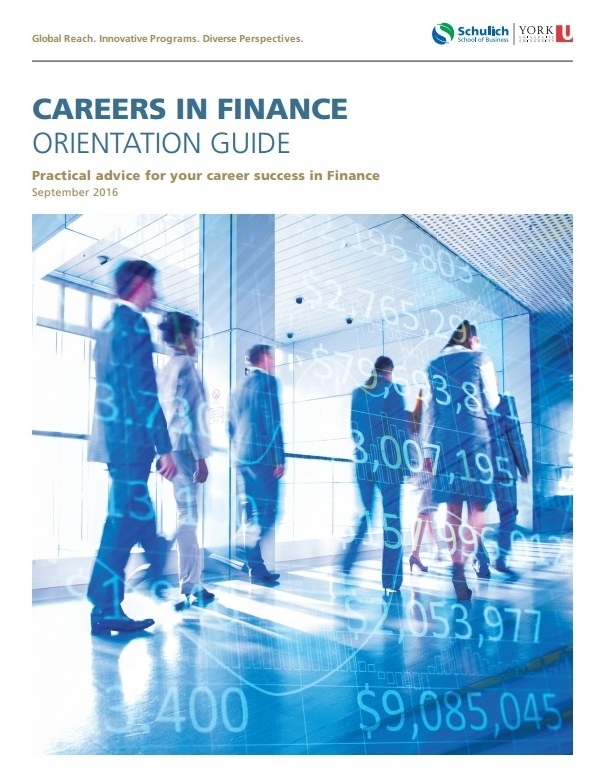 The Schulich Finance Alumni Association (SFAA) has prepared this Career in Finance Orientation Guide (the Guide) summarizing insightful thoughts and career stories that we hope will be beneficial to your own careers and searches.